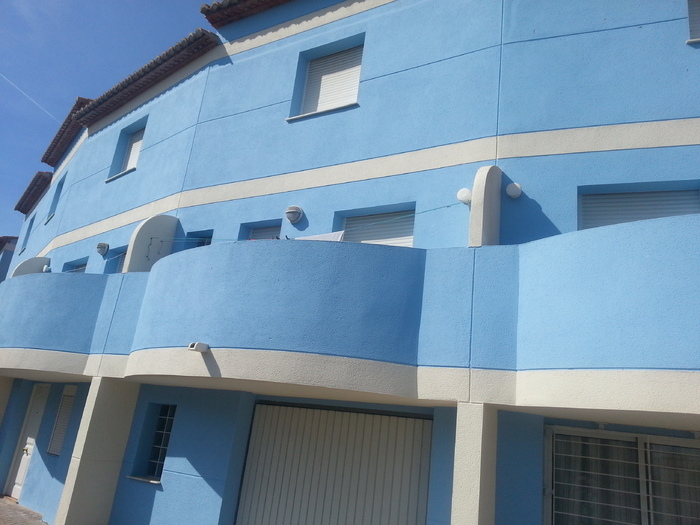 This property for sale is a fabulous 3 storey townhouse in Oliva, Valencia Spain. 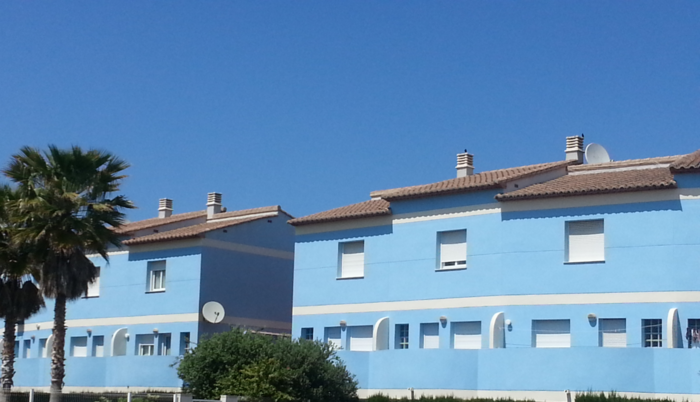 Oliva has for a long time been a popular getaway for the Spanish living in other parts of the country; recently the area has also gained popularity amongst overseas visitors. Mainly due to the pristine, uncrowded 7-kilometre blue flag beaches that the area enjoys. The town lies in the heart of Spain’s orange growing region, 75 kilometres south of Valencia, 100 kilometres north of Alicante. 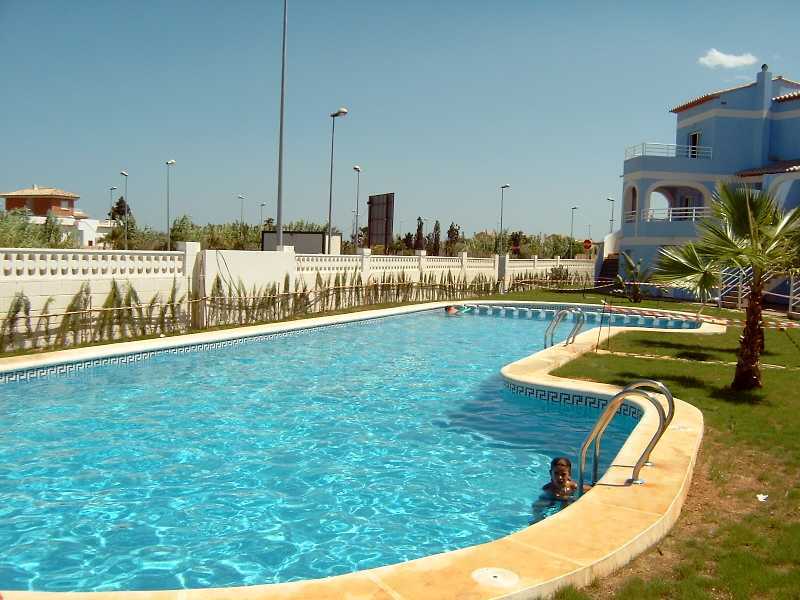 The property is situated just a 3-minute walk to the sandy beaches of Oliva with communal swimming pool, gardens and walking distance to the Oliva Nova Golf Resort. There are lovely sea views from the upstairs bedroom, and mountain views from the kitchen and back bedroom. The property consists of 3 double bedrooms, 2 family bathrooms, a fully fitted open plan kitchen, large lounge/ diner with patio doors leading to a terrace. It also has hot & cold air conditioning, mains utilities a garage. The property is 120 square metres. The location is perfect with only one house between the property and the beach and for all Golf fans it is paradise with such a prestigious golf course on your doorstep. 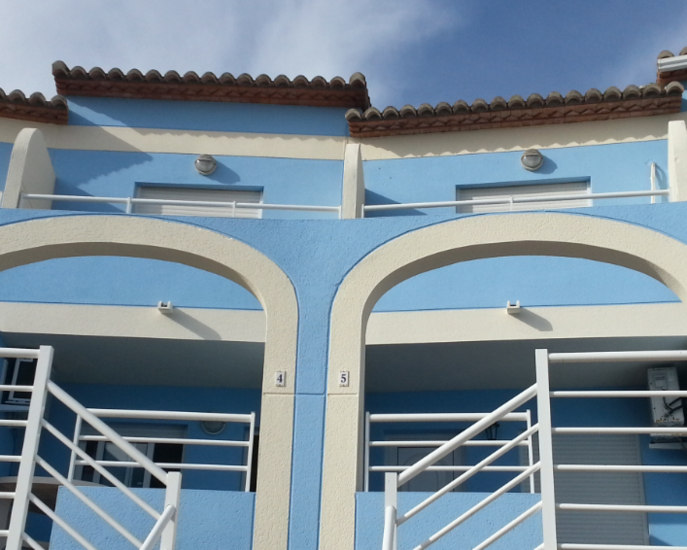 The property comes fully furnished with all white goods, beds, cupboards, bedding etc. The property will therefore be available to rent or move into straight away. The rental income would be quite good each year due to its location and could be offered to Golf enthusiasts throughout Europe.